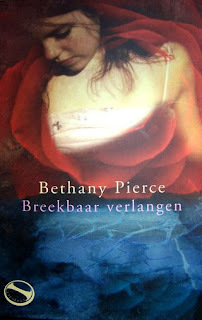 No, I am not German but Bethany, my grand daughter, has just had her first book republished in German and distributed in the Netherlands. She just blogged about being a bit over come following her wedding, the honeymoon, an art show in Louieville, Kentucky, a distribution of her first book in Holland and now preparing to relocate to Charlottesville, Virginia where her husband, Aaron, will commence his medical internship at the U of V Hospital. We have our limits even with the greatest of accomplishments. The book is "Searching for Bones". It can be purchased at Amazon or Barnes & Nobles, among other places. Since its publication Bethany has traveled around the country at book signings. No doubt she will now end up visiting the Netherlands in the future. 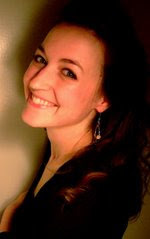 Bethany has a Master's Degree from the University of Miami of Ohio where she studied Art and English. She studied art one summer in Italy. She sold her first art on a brochure when she was just a youngster. Her awards and accomplishments are too numberous to mention. She earned a full scholarship to Miami and could have chosen any college. She became a professor at the college but has since retired that position following her wedding. Her paintings are exciting and varied in subject. They sell for a meaningful amount of money. At times she can hardly get the canvas dry. The above painting is entitled "Modesty". The picture on the left is the cover of an art show brochure with Bethany's paintings as the feature of the show. Her parent's home is almost an art show in and of its self. Every room has some of Bethany's art. If not Bethany's, then some form of Amy's art. Her mother is an art teacher and obviously a good one. I am very proud of Bethany. I am very proud of each and every one of my grand children. In their chosen fields they have each been outstanding. Bethany's sister, Christy Anne, was just named "Greek Woman of the Year". Christy is a gifted singer. She is on the right in this picture with her cousin, Jillian, a junior at the University of Cedarville. Christy Anne will graduate with honors this year from Baldwin-Wallace College. When she was born I liked her name so well that I said I would name my next sail boat after her. When she was 13 she christened the s/v Christy Anne. Next to the youngest grandchild, an eleven year old 4th grader, Riley James Pierce Boggs, has been chosen by a Northwestern University study group as one of the nation's outstanding students. His math accomplishements are equal to that of a 10th grade student. In addition to taking their good looks and modesty after their paternal "Ich Grabiliere", they have also inherited his brains. Ummm! Never let the truth get in the way of a good story! "Grandchildren are to grandparents like sunshine to a day"
Grandpa, you made my day! Know that I attribute any talent I have as a writer to the Pierce storytelling spirit that I inherited from you. What a beautiful tribute, Dad. Thank you again for going to the doctor with me today. I love you more than words can say! 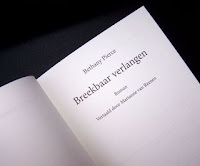 I just ordered Bethany's book (not in Dutch, but English, ha!) from Christian Book Distributors. I can't wait to read it! Hope I can fit it in between textbooks. I'll get it read, though.